We spoke to food writer Nik Sharma about how recipe writing is a science and why cardamom is the best spice. 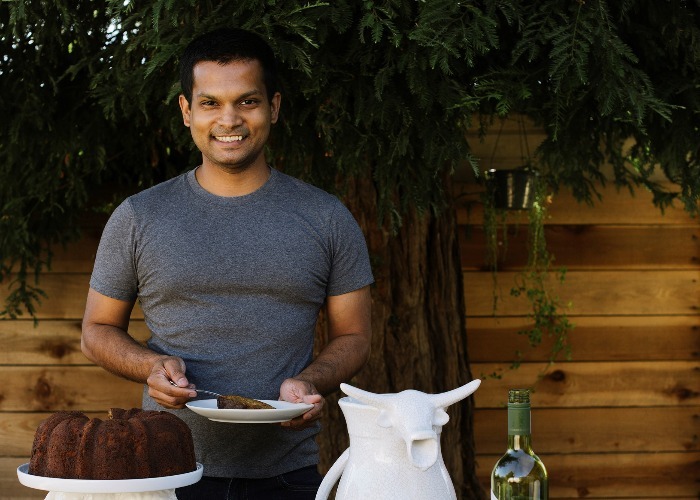 Food writer and photographer Nik Sharma is well-known for his blog A Brown Table, a column in the San Francisco Chronicle and now his debut cookbook Season. 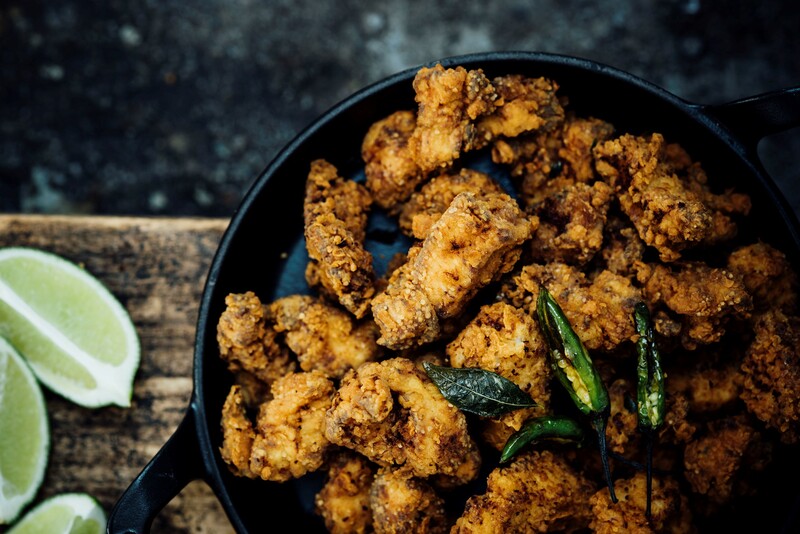 Influences from his childhood in India, life in America and, most importantly, bold flavours weave their way through his stories and enticing recipes like margarita naan and curry leaf popcorn chicken. We caught up with Sharma to find out about his life in food. When I was a kid, one of the first things I learned to cook was rice, just plain rice. I thought it would be a really cool idea to add in this sweet syrup called Rooh Afza. It’s a really uncomfortably-scented rose syrup which is artificially coloured so it’s bright pink. I mixed it in plain rice and it was the most disgusting thing that I have ever done. I remember my mum coming back from work and saying, “What did you do? We need to throw the whole thing out.” It was a good experience of what not to do. I used to work in medical research and the way you write a recipe is very similar to experiments. I'll note down what I did today and what I’ll do next time. Doing an experiment felt like the same skeleton as writing a recipe. The method is the same thing – you’re testing constantly to get a better result. When I came to America, I started cooking for my friends and they told me I should start a blog. At the time, blogs had started to get popular so that's how A Brown Table came about. When I moved to America from India, I thought I was going to write about Indian cookery. I noticed that a lot of what was being written was very one-dimensional and focused on north India. I soon realised that the stuff I tasted in India and the food I missed wasn’t being sold in restaurants so I ended up cooking it. I also wasn’t cooking in a traditional way. I was cooking with what was available to me and then trying to make it work. I want people to have fun. In America, we tend to use words like ‘tradition’ and ‘authentic’ very loosely. I think it’s great, but at the same time it tends to tie you down. As a writer, I struggled with that initially. In the end, I made the decision to do what I wanted to do and what I’m passionate about. I first had a Moscow mule in America. It's typically made with vodka, lime and ginger ale. 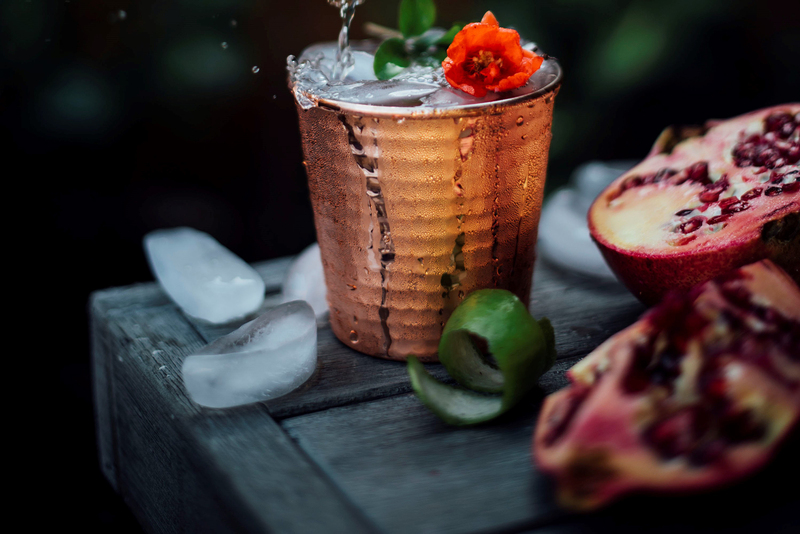 I thought that pomegranate and ginger is used in other countries in drinks, so why not put it in this combination? It works really well. A lot of the recipes in the book are based on the idea that when flavour combinations have been tested and tried for so long, let’s look at them in a new way. I’m a lazy home cook because I don’t always have the time to make something elaborate. It's usually what can I get on the table which is flavourful, tasty and people will like. My go-to dinner is something with eggs. It’s usually a poached egg, maybe some yogurt and some beans or vegetables on the side. Something simple. I started doing photography for my blog. Over time, as I got more experienced, I wanted to make it my own and reflect the way I look at food in my mind. One of the reasons that the photos are so dark is because I'm a minimalist. I don't like a lot of noise in the background. I’m also fascinated with the ballet. When I think of food being photographed and I’m styling a dish, it’s low-lit because I want the photo to reflect the process, or the final dish or ingredient. I think of the food being the ballerina on stage – the spotlight is on her and everything else is noise and falls to the side. If you’re a novice cook, don’t walk into something big because, if it doesn’t work, it’ll probably turn you off. Start small and with something you’ve heard of, so you’re comfortable with it. If you’re playing with a spice, use it 10 different ways so you understand how it tastes and smells, and how different processes change the ingredient. Toast it, infuse it into alcohol, use it in a cocktail or rub it on meat. Once you get comfortable with it, build on it or move on to something else. If I had started with 100 things, I would never have understood how they are individually. It’s also a more economical way to go about it. You can use it in sweet and savoury dishes. I have a sweet tooth so it works really well in sweets but even if you’re cooking something simple like rice, and you want to change it up a bit, just heat a little oil, add the cardamom and cook the rice with it. Season by Nik Sharma is out now (Chronicle Books, £26).